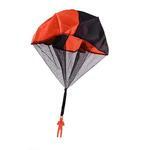 Subscribe to NZ Rugby World Kids magazine for 12 or 24 months & receive a Free Toy Soldier Parachute! 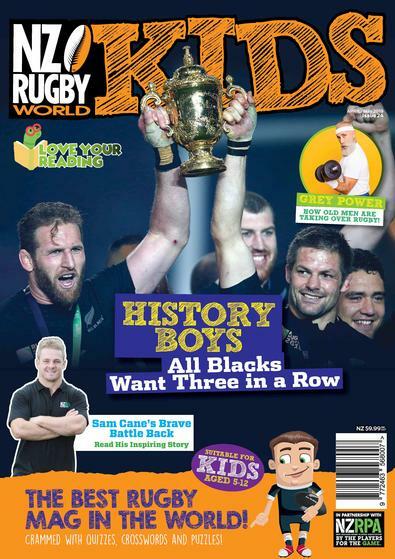 NZ Rugby World Kids is a fun-filled, jam-packed magazine which connects primary-aged children with their All Black heroes. Edited by former All Black and World Cup winner Richard Kahui, the biggest names in rugby – Sam Cane, Ben Smith, Aaron Cruden, Kieran Read, Nehe Milner-Skudder, Damian McKenzie, Jerome Kaino, Charlie Faumuina, Sarah Goss, Selica Winiata and Tyla Nathan-Wong - provide advice, encouragement and guidance on a vast range of issues such as getting fit, eating well and being safe yet determined to succeed. Loaded with puzzles, quizzes, fast facts, posters and heaps of other content, a subscription to NZ Rugby World Kids is the perfect present for children aged 5-12.